One of the - in my view - most interesting anthropology blogs, Neuroanthropology, has recently celebrated post #1000 and made a list over their Top 100 Posts - based on page views (there is also a list with their personal favorites). At the same time, the blog has moved to http://blogs.plos.org/neuroanthropology/. They are now part of the new Public Library of Science: PLoS Blogs, “a serious and powerful voice for open-access scholarship and education". Neuroanthropology bloggers Daniel Lende and Greg Downey hope to “act as a voice for anthropology in a scholarly and public forum built around science and medicine". Neuroanthropology is one of the rather few outward looking anthropology blogs - writing both for fellow researchers and the interested public. There are many in-depth magazine style posts - and not only about neuroanthropology - often regarded as one of the most exciting research fields. One of the most recent posts deals with the question: How does language affect thought and perception? while others discuss The Pitfalls and Pratfalls of Criminals or The dog-human connection in evolution or the Neuroanthropology of Morality. Public Anthropology is a popular topic, see for example On Reaching a Broader Public or Glory Days - Anthropologists as Journalists or Student Websites and the Classroom: Anthropology Online. A lot to explore and learn! Antropologi.info book reviewer Tereza Kuldova has read another book for us. 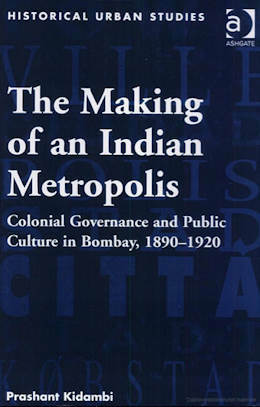 “One wonders how little has changed”, she writes in her review of The Making of an Indian Metropolis: Colonial Governance and Public Culture in Bombay, 1890-1920 by historian Prashant Kidambi. The book is in her opinion “a great read also for any urban anthropologist, not only for historians who are the main target group". At times, when you read about old Bombay, about the ‘lost’ times when ‘Bombay’ was not ‘Mumbai’, you are faced with idealized narratives of a golden era, now long gone and mourned. A picture of Bombay is painted in which people of diverse religions, classes, castes and live harmoniously together; it is a picture of a conflict-free era, where rules and obligations are followed and mutual respect prevails. It is then only refreshing to read an account of colonial Bombay (1890-1920) that confronts us with a much more realistic picture. 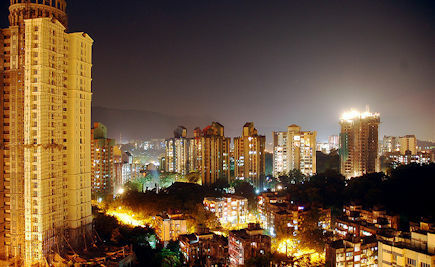 A picture of Bombay struck by two global pandemics, as well as by episodes of collective violence. 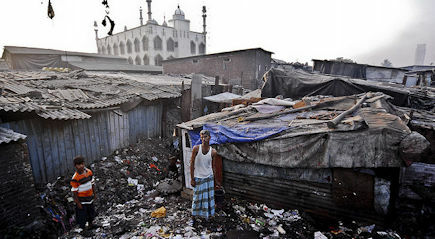 A picture of Bombay, where the ruling elites try to handle the ‘unintended city’ – a result of industrialization and intense immigration – and its issues of sanitation, slums, famine, plague, riots, order and criminality. Reading Kidambi’s account, it becomes obvious that, as he himself says, the imagined ‘ideal’ Bombay is “essentially an exercise in ‘historical fantasy’ that elides over the extent to which the city has always been divided by caste, class and religion” (236). If one has some knowledge of contemporary Mumbai, reading this book makes one realize how little has changed and how deep footprints have the colonial rule left in today’s Mumbai. Prashant Kidambi’s inquiry into the urban history of Bombay manages to grasp the dynamics of urban change at the same time as it catches the reader’s attention – and that even though the wealth of historical detail can be overwhelming. He focuses on three decades in which, in his own words, “the city was restructured in accordance with the dictates of modern urban planning and intrusive modes of governance were deployed in response to the challenges posed by rapid industrialization and massive labor migration” and in which “the city became the site of a vigorous associational culture and ‘modernizing’ social activism that infused its civil society with new dynamism” (p. 9). Prashant Kidambi argues, that the city was a ‘contested terrain’, shaped as much by acts of resistance as by the operations of power (p. 12). Contrary to the “widely entrenched perception that the norms and practices of civil society were solely internalized by the Anglophone intelligentsia and were more or less alien to the cultural worldview and dispositions of the lower orders” (p. 14), the lower strata of society actually took part in the associational civility, the civil society of the emerging Bombay (pp. 157-202). An interesting part of the book, particularly for an anthropologist such as me, is the discussion of the urban middle class formation in colonial India in relation to the concepts of ‘social reform’ and ‘social service’ and the way in which middle class became formed by these practices. The distinction between ‘social reform’ and ‘social service’ is I believe useful in this respect. 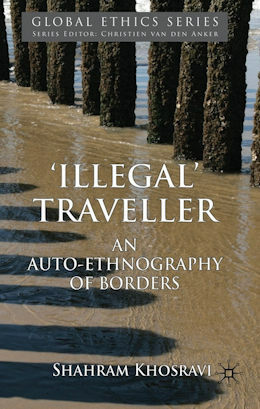 Kidambi argues that “while ‘social reform’ during the late nineteenth century had largely denoted the internal attempts at ‘self-improvement’ within particular castes and communities, the emergent discourse and practice of ‘social service’ articulated by members of the high-status Anglophone intelligentsia was directed at the destitute, the downtrodden and the disadvantaged” (p. 15). Kidambi’s account of the colonial Bombay is centered around several topics. Firstly he introduces the reader to the rising city of Bombay, a city that had by 1860 “become, after New York and Liverpool, the largest cotton market in the world” (p. 18) and that “by the last decade of the nineteenth century (…) could justifiably lay claim to being a leading commercial and financial center” (p. 23), where a “highly cosmopolitan culture amongst the business elites” (p. 24) developed. At that time “Bombay was also home to a nascent, but dynamic, English-educated Indian middle class comprising lawyers, doctors, engineers, businessmen, journalists, teachers and clerks employed in mercantile and government offices. This middle class was a product of colonial policies that dated back to the second quarter of the nineteenth century” (p. 26). The growth of Bombay as a business and industrial center also “attracted a large, predominantly male, proletarian population”, which “found employment in the cotton-textile industry” (p. 29). However, the “city’s modernization had resulted in ‘two Bombays’, the one inhabited by a cosmopolitan elite that nestled in the fashionable enclaves of the city, the other full of chawls, crowded, insanitary, ill-ventilated slums and filthy lanes, stables and godowns” (p. 36). (One wonders here, how little has changed, when in today’s Mumbai 95% of its population lives on 5% of its space and the richest 5% occupies 95% of the land). Overcrowding, slums, sanitary issues, disease, increased criminality, all these were the issues that increasingly kept the colonial administration preoccupied. And in 1896 this was only to get more intense as the plague epidemic attacked Bombay. The plague and its handling by the administration becomes another interesting topic. Kidambi argues that “for nearly a decade after the initial outbreak in the city, long-standing assumptions that viewed epidemic diseases as a product of locality-specific conditions of filth and squalor exercised significant influence over the colonial state’s war against plague” (p. 50). 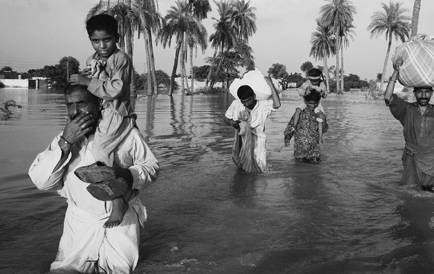 These localist perceptions meant that the policies were aimed at sanitary regeneration of the city, cleaning of the infected areas, their evacuation or eventual demolition. Furthermore a notion that Kidambi labels as “contingent contagionism” has developed, which could be summarized as follows: “If plague was a disease either generated by, or nurtured in, filth and squalor, many officials argued, it followed that Bombay’s poor who resided in ill-ventilated, overcrowded tenements would be more susceptible to its ravages. This, in turn, buttressed the belief that it was the poor, rather than the ‘respectable’ classes, who were the ‘natural’ bearers of contagion” (p. 64). “Consequently, the colonial state’s antiplague offensive was in large measure directed at segregating the urban poor, who were perceived as posing threat to the physical well-being of Bombay’s elites” (p. 70). The next chapter deals with the Bombay Improvement Trust (1898), which was meant as a solution to the sanitary problems of the city; it dealt with the issues of town-planning, slum clearance, tried to expand the city’s residential area and provide sanitary housing for the poor. Kidambi concludes that “(b)y the end of the First World War, it was widely acknowledged that the Bombay Improvement Trust failed to redress the civic problems that had led to its creation. On the contrary, most contemporary observers agreed that the Trust’s activities had worsened Bombay’s housing and sanitary problems” (p. 112). However, “notwithstanding the Trust’s failure to carry out the tasks for which it had been established, its policies has profound, albeit unintended, consequences for the development of Bombay’s spatial organization and social geography” (p. 113). Kidambi goes on to discuss colonial policing strategies and control and regulation of the urban spaces and the perceived threats to urban ‘order’, particularly after the experience of two major riots in the 1890s. He presents an interesting discussion of the emerging importance of the ‘street’ and the life of and on the street and in neighborhoods. “The street was the principal locus of working-class social life and recreational activities ranging from akharas (gymnasia) and tamashas (street theatre) to the liquor shops where many workers congregated after work” (p. 121). He concludes that in the 1890s “the traditional colonial strategy of ‘indirect’ control began to give way to a more intrusive approach vis-à-vis the urban neighborhoods and the emergent plebeian public sphere. The 1902 Police Act vastly enhanced the discretionary powers of the police over a range of ‘public’ activities and urban spaces that had hitherto been unregulated. Their newly consolidated powers, in turn, increased the scale and dimension of conflict between the colonial police and the populace. Consequently, the relationship between the colonial administration and plebeian society in Bombay grew markedly fractious in the years leading up to the end of the Great War” (p. 155). Towards the end of the book, Kidambi takes on topics such as the emergence of the civil society in Bombay and the involvement of particularly the English-educated elite and middle class in various educational, scientific, religious and social reform oriented associations. He concludes that “the rich diversity of associational activity within Indian civil society rendered its public sphere a ‘segmented’ domain in which the fashioning of the ‘autonomous, reason-bearing individual’ was offset by a countervailing process ‘through which community identities were reworked and reaffirmed’. It also invested urban public culture in colonial India with an intrinsic plurality and polyphony that has continued to inflect its post-colonial career” (p. 201). The last chapter of the book is devoted to the question of social reform and social service and the social activism of Bombay’s intelligentsia directed at the uplifting of the depressed classes. These efforts of the educated middle and upper classes were both integral to the process of nation building and also had the effect of strengthening “the claims to public leadership of the educated middle class during the first two decades of the twentieth century. By the end of the First World War, educated men were able to tout their credentials as the ‘real’ leaders of the citizenry far more confidently than during the late nineteenth century” (p. 231). There are several things that I have been missing in the book (but that may be likewise a general problem with the genre of historical accounts). The book deals with a period of three decades (1890-1920). Except for a brief note in the conclusion there is no reflection on the effects of these three decades on the later developments. One is simply left to conclude on one’s own. It feels as if relating to present days or even decades following the three decades under thorough investigation, would not be rigorous enough. I would prefer at least some reflections, that would give the reader a sense of continuity and change and put things into a broader context of events that followed and issues that Mumbai is faced with now. This would turn a historical narrative, largely of interest only to specialists, into a reading of relevance for a much broader audience. Another thing that at times bothered me was what I experienced as a continual struggle of the author to give the account an appearance of factuality, of presenting matters ‘as they were’ and the very little space left to polemics with one’s own material and the works of others. 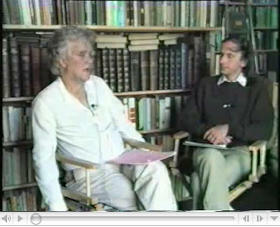 This appearance of an authoritative account is greatly supported by the referencing system that uses footnotes at the bottom of each page (and not references directly in the text) and by the use of single quotes for both quotations from other’s works and archival materials and author’s own expressions in ‘quotes’. This is not very lucky as the reader very often looses track of who says what. Nevertheless, reading this book was enjoyable and would be definitely a great read also for any urban anthropologist, not only for historians who are the main target group. I’ve reorganized the overview over open access journals and added a search feature. Now you can search the contents of around 100 journals in anthropology and related fields. It seems to work, have a try! “A dysfunctional ethnic and tribal brawl has been the norm in Afghanistan for centuries. Afghanistan is a mess. ” Who said that? A frustrated U.S. military officer? No, a professor of anthropology, Robert L. Moore. In his article Tribes, Corruption Ail Afghanistan in The Ledger he shares his concerns about the difficulties for “us” (=the U.S. military) to “push this contentious country into the 21st century” and turn it into a “normal, stable country” that will be “governable in the way that most nations are". Afghanistan is a mess. It is populated by a multitude of ethnic groups, the dominant ones being Pashtun, Tajik, Hazara and Turkic. Many of these groups are further subdivided into traditional tribes whose members regard loyalty to their tribe or clan as more vital than loyalty to any nation or government. Alongside these tribal and ethnic divisions are religious differences that separate Shi’a from Sunni Muslims. The upshot of all this is that Afghanistan is not governable in the way that most nations are. There are areas of Afghanistan, mainly non-Pashtun regions, where the Taliban are deeply distrusted and in these areas our troops might be welcomed. But would our fighting on behalf of, say, Tajiks (who, by the way, are ethnic cousins of Iran’s Persians) help solve Afghanistan’s long-standing problem of ethnic conflict? It is more likely to simply add another dimension to the dysfunctional ethnic and tribal brawl that has been the norm in Afghanistan for centuries. Ethnic mess – apartheid as ideal? U.S-military="us". “Anthropology= serve those in power” - Sounds like 19th century colonial anthropology! Over at Zero Anthropology, Maximilian Forte gives an overview over European press coverage of U.S. Army’s Human Terrain System and its embedding of civilian social scientists in Afghanistan and Iraq. The world's only anthropology professor of indie music? “Ask the indie professor” is the name of a new series in the Guardian. The indie professor in question is Wendy Fonarow. At a music festival she was recently introduced as “the world’s only professor of indie music”. 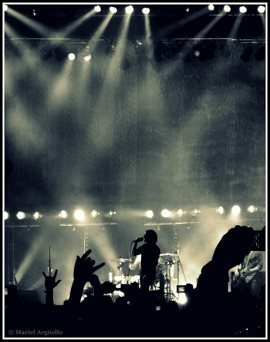 “I’m not sure if I’m the only indie professor, but I’ve spent the last 18 years recording, examining and writing about the culture of indie and the international music industry”, Wendy Fonorow writes in her opening post. Her book “Empire of Dirt: The Aesthetics and Rituals of British Indie Music” tackles questions such as “Why are drummers the most ridiculed band members?”, she adds. After one day, there are already more than 250 comments. The Guardian presented her book two years ago. Remember that time you were crowd surfing at an Arctic Monkeys gig and thought you were just having a drunken laugh? Rubbish! You were, in fact, being “collaborative in a unique social space, expressing super-intimacy with strangers and rejecting the self-aggrandising that comes with stage-diving”. Oh yes you were. And that time you were standing at the bar and thought you were just, well, thirsty? Not at all: you were probably just “proving your credentials as an industry professional” or “communicating to others a disinterest in the act”. 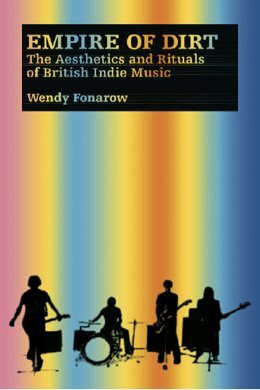 These are the theories of professor Wendy Fonarow, anthropologist at UCLA in California and the author of Empire Of Dirt: The Aesthetics And Rituals Of British Indie Music.